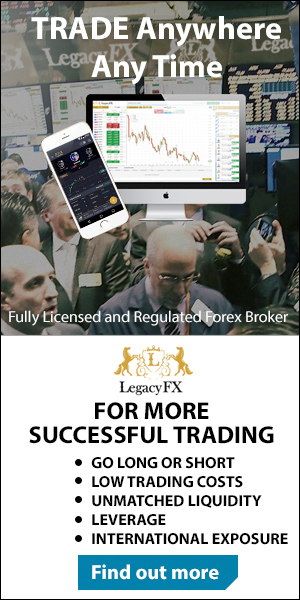 The OpenBook allow you to see and follow traders that are better and more experienced and most important profitable and copy their trades, thus giving an opportunity to the less experienced Forex traders to take part and enter the market. eToro aims to make Forex trading both profitable and entertaining, transforming an otherwise very stressful and often frustrating activity into a whole other experience. The eToro WebTrader platform is the trading platform where the actual trades are being places and not like the openbook where they are being copied. The webtrader is a full functioning platform that offers just enough for traders to be able to trade properly , it does not have the EA’s and other bells and whistles that MT4 offers but for most traders this is more than enough . For those that look to trade on mobile. Don’t worry , etoro has a full functioning mobile application where you will be able to trade and use the use the same functionalities of the WebTrader only using your mobile devices such as Androids or iPhones. Etoro Bitcoin Broker offers a full functioning demo account that has 100,000 usd in there for learning how to trade on their systems or in this case even learn how to copy trade. I think this amount is somewhat too much as it takes part of the real feeling away. like playing poker with matchsticks. It is harder to care when you have this much, but the demo account is letting people get a taste of their system. For the regular account that you open with real money you have the options to have a standard account or an Islamic trading account. eToro offers a wide range of banking solutions to deposit and withdraw funds from your eToro accounts, including Paypal, Skrill, Neteller, Credit Cards, MoneyGram and Wire Transfers. Withdrawing funds is easy and fast but they might charge you for it this is a charge that ranges from $5 till around $25 and should take account 2-5 days before you see the funds in your account. When you open an account you also awarded their 1st deposit bonus, which amounts to up to 1.000 eToro credits. These credits can be used for trading but there are also other options you can use it for. this is also a somewhat new concept. it goes with the “gamification“of trading what Etoro Bitcoin broker is pushing as brand image. They are pretty active with trader incentives so other promotional and season campaigns will come your way. This is something you have to keep in mind when you are copying someone as this person is spending also your spread. eToro bitcoin broker is without a doubt the best social trading platform on the web. As a broker they are doing ok , don’t have the most instruments and for many the lack of the MT4 makes them irrelevant , at the same time the angle and direction they have taken social trading is nothing short of amazing and the systems is something to behold.